Some of the food that the Monpas of Arunachal Pradesh eat is pretty well known in the plains, but others are completely unknown. Momos are found across the Himalayas, and I’m no longer sure where they originated. Traditional Monpa cooking used barley to make the covering, and the filling could be yak, pork or vegetables. I think I’ve never eaten this variety; every momo I ate on this trip was made with maida. Similarly, variants of the thukpa are found across the Himalayas. The one I ate in Dirang was clearly “cleaned up” for tourists: the meat was chicken instead of pork, but it had a variety of local herbs and definitely had yak cheese. When I asked the cook about the herbs, he just said they are local. I could not even get the local names of the herbs from him. 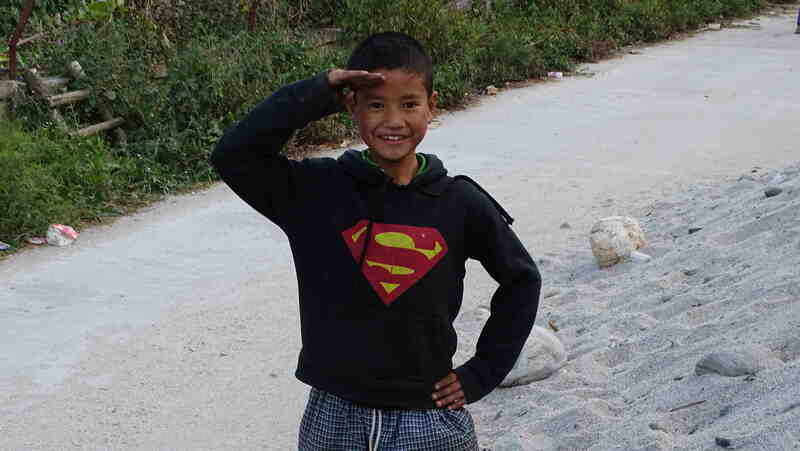 In Tawang I came across the thenthuk. The meat was chicken, and it seems to be like a thukpa in spirit, but uses broad noodles. These look like the hand-pulled noodles I ate in Bejing. 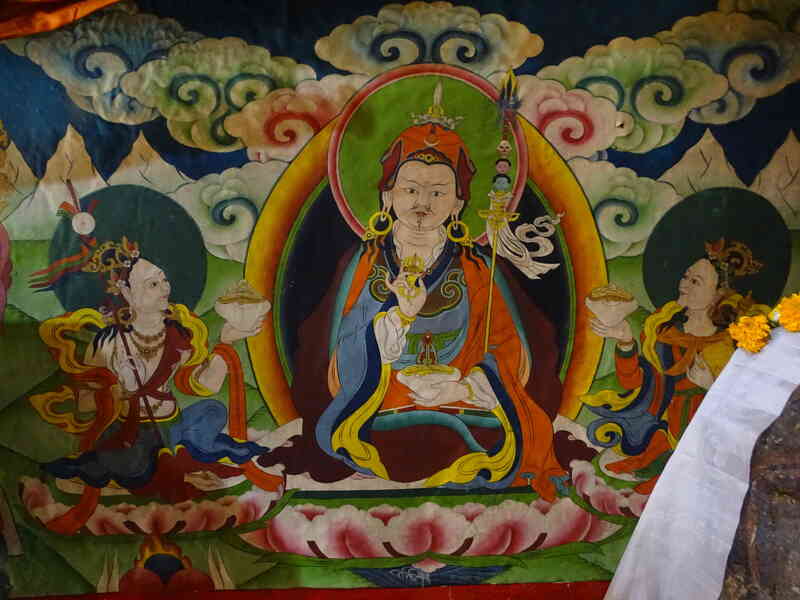 When I asked about it, I ran up against the Monpa unwillingness to talk about food with “outsiders”. I asked whether the noodles are hand made, and I got a nod in answer. When I asked whether they are hand made in the kitchen of the restaurant, I was told that it was not. That’s about all the information I got. Again, I could not get the names of the herbs from the cook. When I asked abut the difference between a thukpa and a thenthuk all I was told is that the latter hs broad noodles. If you are Mon, can you please leave an explanation in the comments? I assure you it will be highly appreciated. I asked about zan and chhurra in the hotel in Tawang which we stayed in, and my questions were greeted with delight. How did I know about these? I said that I’d read it on the net. They were surprised. The cook said that zan is not made very often these days, people prefer rice. There was general consensus that zan tastes really good. I was told that they would try to get someone to make these two things for me. I got a vessel full of steaming hot, bready, zan: by far too much for me. 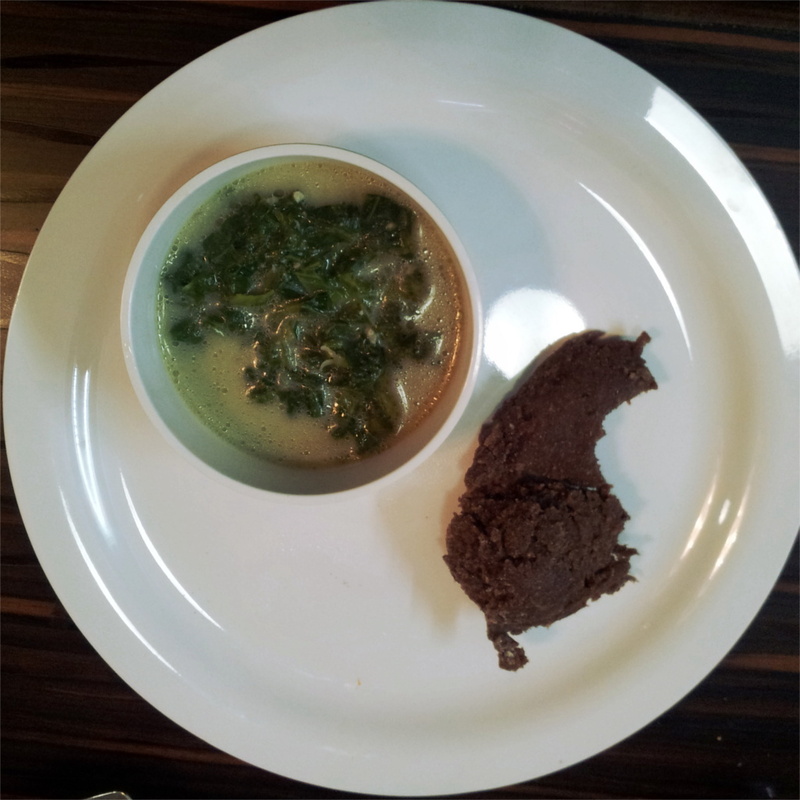 I liked the taste, but it was heavy, and I could not eat too much (that’s the dark bread-like thing on the plate). 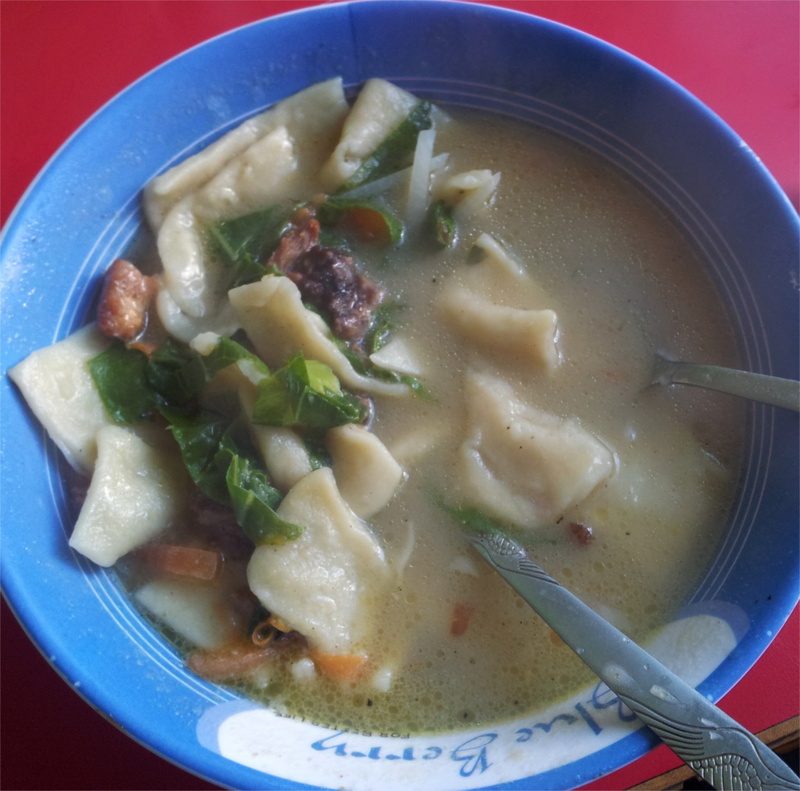 The chhurra was clearly something special: it was like a very cheesy stew full of local herbs. I loved it (disclosure: I love ripe cheeses). This was an amazing meal: simple, in that it was just two things, but so complex in taste. Yet again I could not get a description of how these things are made and what the ingredients are. Arunachal Pradesh is a biodiversity hot spot. Markets are full of diverse fruits and vegetables. I’m sure that the little that I ate is just the tip of a culinary iceberg. Inside India there are cuisines which are still hidden away from most of us! Everywhere we went in the hills we saw shoes being dried. 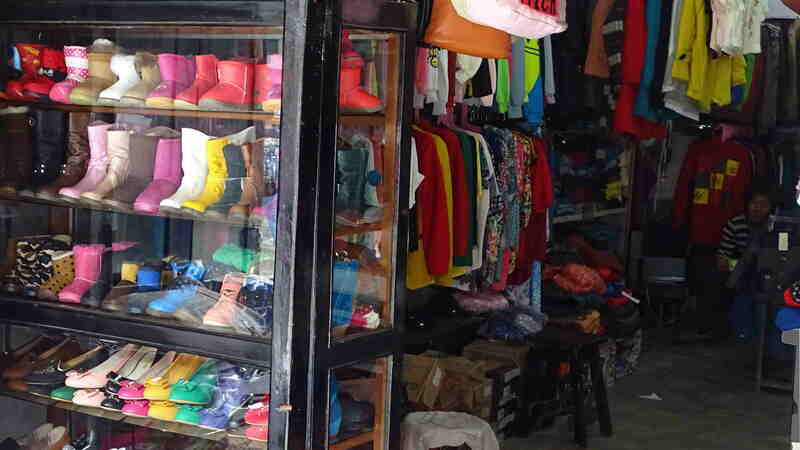 In Tawang I saw these boots strung up spectacularly close to the sun. Lobsang started laughing when he saw what I’d stopped the car for. But this was only one of the many places where I found drying footwear. 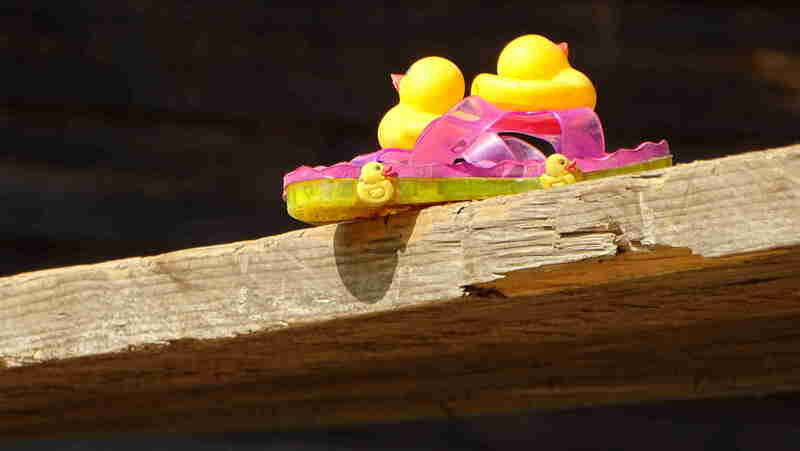 These really colourful child’s slippers were drying on a sunny rafter beam in a house in the village in Sangti valley. 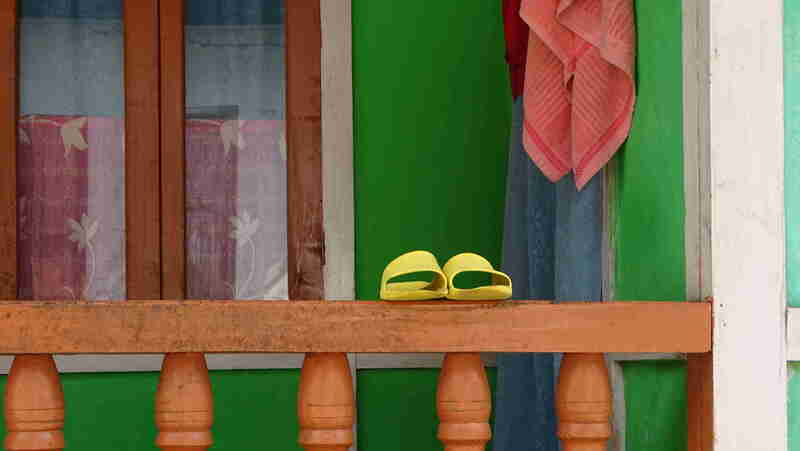 You cannot pass through a village in the West Kameng and Tawang districts of Arunachal without coming across a few shoes or slippers drying conspicuously. Sometimes they are spectacular, and someties they add just a touch of whimsy to a balcony. Eventually I learnt to look out for people washing shoes. Then I realized that this is a commonplace in the lives of the people in this place. Small boys and girls, grown men and women would be at a tap, or even a hillside spring washing shoes. Travelling largely by car, as we did, we clearly missed climbing the hills they did. The evidence was that our shoes never got muddy enough for us to have to wash them. 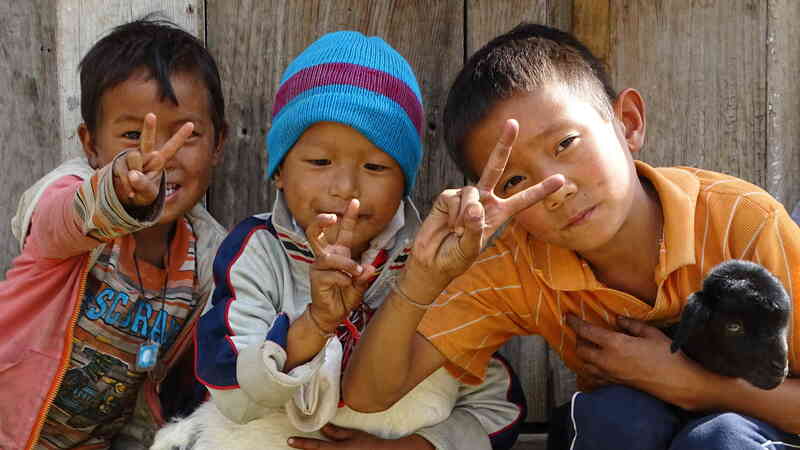 The Monpas of Arunachal Pradesh seem to have a thing about knitting. When we visited in a pretty warm early November, we found a lot of wool being sold in the bazaar even at the altitude of Dirang. 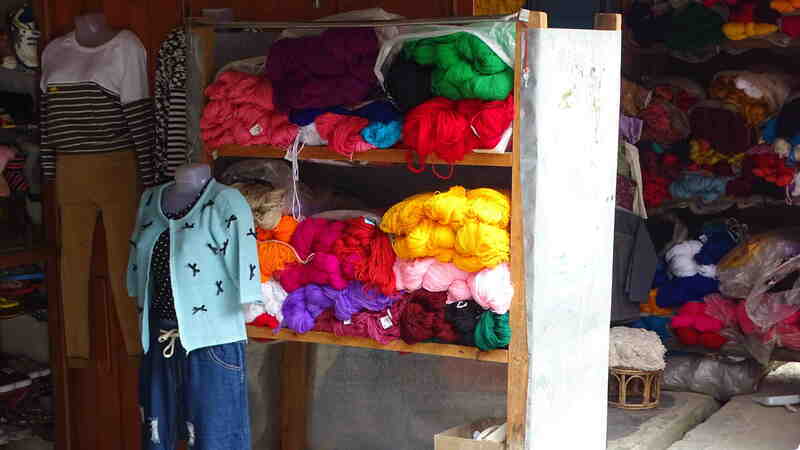 Then in Tawang we saw women knitting all the time. When I say that, it could be that this is a thing for just before the weather turns very cold. On the day before Diwali we walked in the bazaar of Tawang after lunch and found that whenever a group of women gather, at least some of them would be knitting, as in the photos above. The Family topped all my sightings, as always. She saw a woman walking along a mountain road, knitting as she walked! Tawang gompa is the second largest monastery of the Gelugpa sect of Buddhism (the largest being in Lhasa). Attending morning prayers here was definitely one of the high points of our visit. The monastery is well endowed, with many of the buildings undergoing restoration or having recently been restored. After visiting the Urgelling monastery we came back to the hotel, picked up The Victors and left immediately for Tawang gompa. 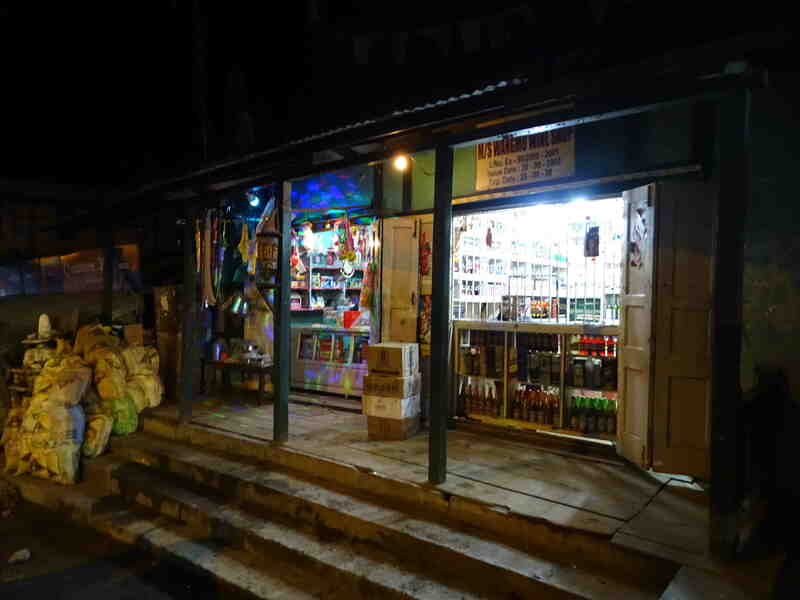 As we entered the gate of the monastery, we saw a shop near the entrance where a young monk was buying a packet of biscuits. The boy-monk finished his transaction and ran away into the monastery. 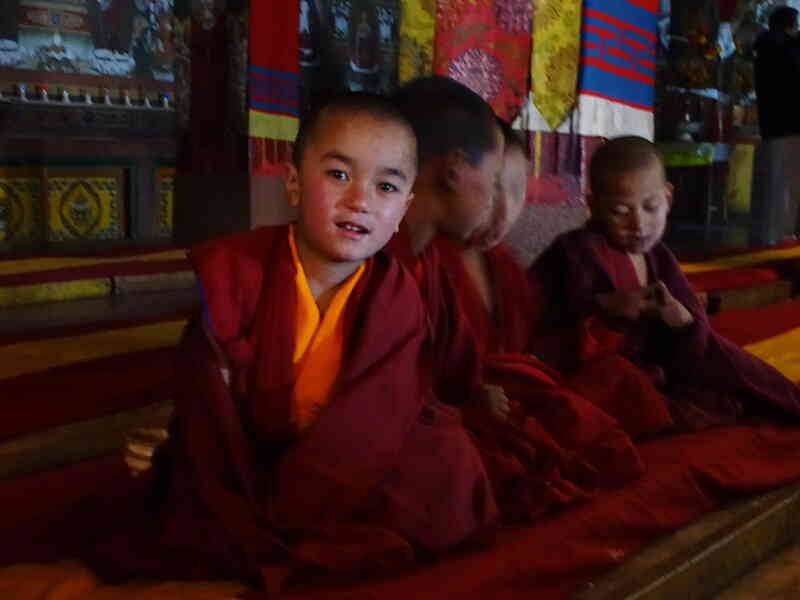 Much of what we saw of the life of novice monks reminded me of a school. Our first stop was a little shrine inside the gompa where there were a couple of chhortens, with lamps burning in front of them. An old monk sat looking at us while I took photos. The family decided to light a lamp, and she seemed to light up the old man. When I took a photo of him, he asked me where we were from. I told him Mumbai. He said people from Mumbai believe, people from Kolkata do not. A random act by The Family has perhaps forever changed the way this man and his friends will view Mumbai. We walked into the main prayer hall and found a prayer was in progress. This is a tremendously awe inspiring thing to hear and see. The chants fill up the cavernous space of the hall, and at times the various musical instruments join in: cymbals of various sizes, drums, and wind instruments. I diffidently asked one of the monks whether I could take photos, and he said as many as I wished. I walked around, sometimes between rows, and no one objected. If I go back, I will definitely try to record the prayers: it is a sound that I want to take apart and understand. The most impressive looking instrument is the horn whose photo appears above. I’ve seen this instrument in many of the gompas and dzongs which we have visited. In each place I tried to take a photo of it, but I never could step back enough to capture of the sense of its size. In Tawang gompa I think I succeeded finally. The instrument is used sparingly in the ceremony. It must require tremendous power to blow this horn, so the person playing this technically challenging instrument is allowed time to recover. In this photo you can also see two other smaller horns, and the drums. As far as I could make out, all the adult monks who do not specialize in the horns play cymbals and chant. Some of the teenagers played the drums. 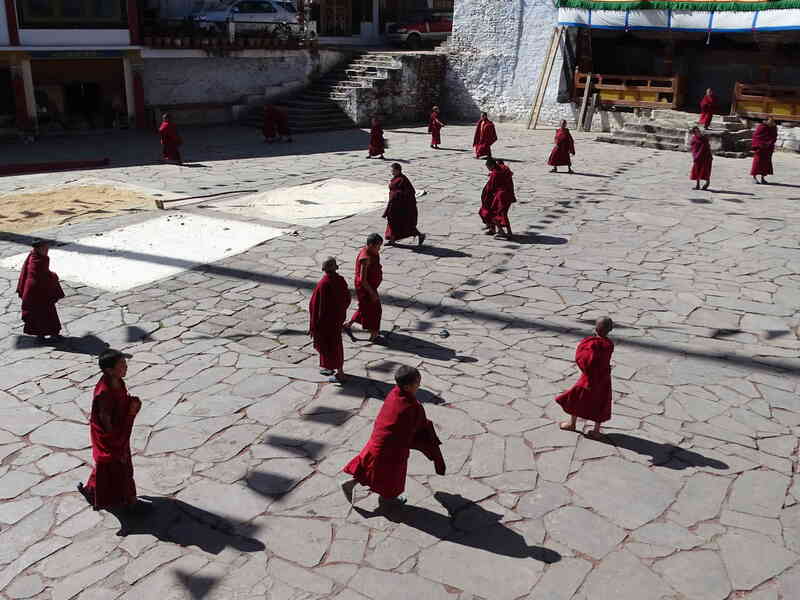 The youngest monks may chant, but do not seem to be required to in any clear hierarchical fashion. As far as I could see, the youngest boys were only required to be patient. They had enough freedom to talk to each other, or even be extremely curious about the photos I was taking. Even so, at the end of the prayer the boys rush out boisterously, shouting as if a school recess has begun. They even play the same kind of mischievous games which I remember from my own school days. On the day when I watched, they converted the shoes of one of their mates into a football and kept kicking it around the courtyard. 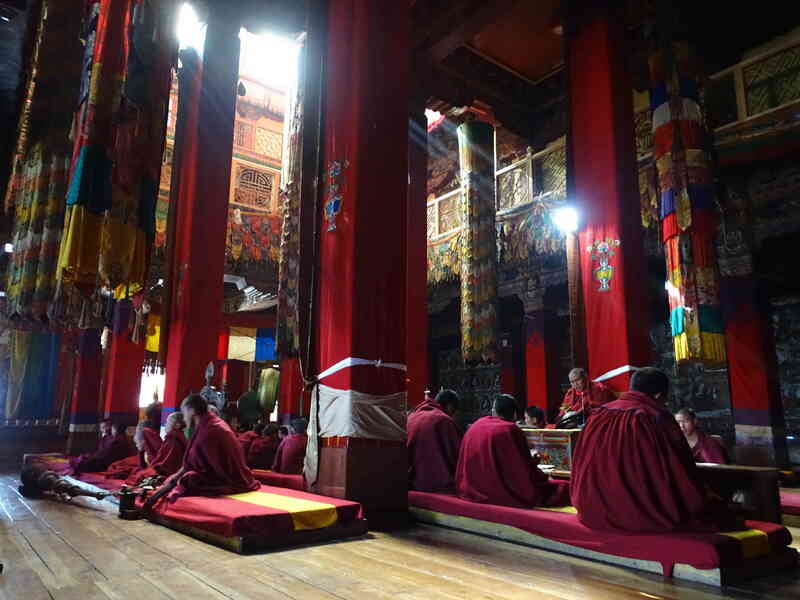 The monastery is not as charming as the Urgelling gompa, but it is more lively. The novice monks here seem to be under less strict control than in most places we have seen in Bhutan. The Dalai Lama’s public personality is very open. 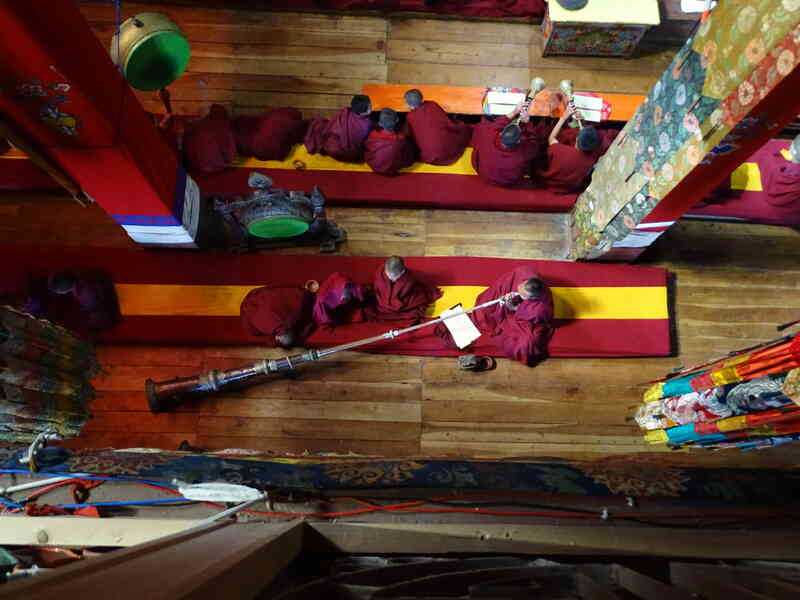 I wonder whether it is that openness which is influencing the course of things here and in other Gelugpa monasteries. 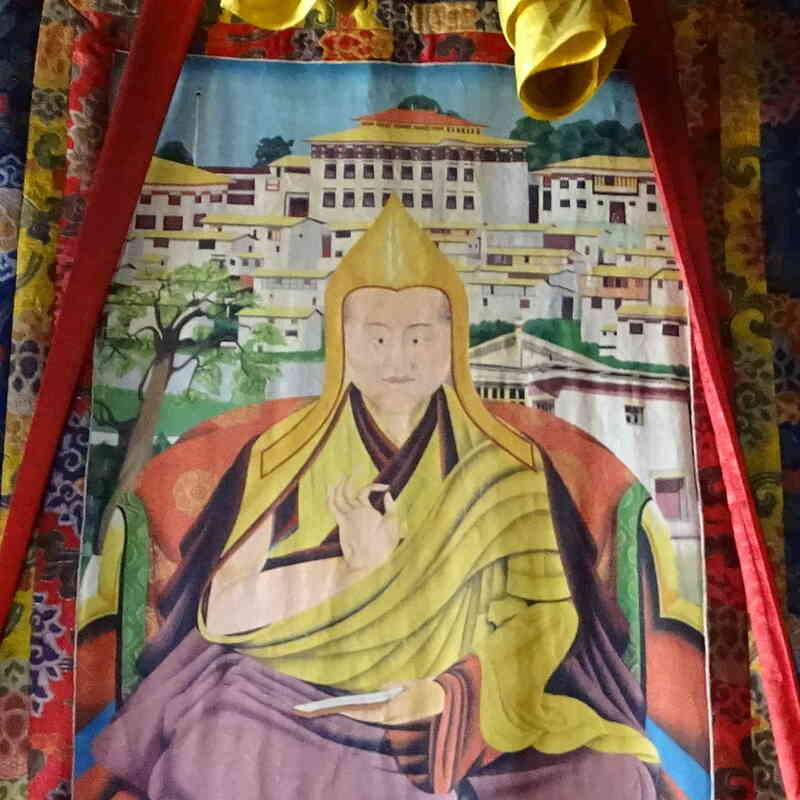 If Tawang is remembered in Tibet, it is because of Tsangyang Gyatso, who was born here and then became the sixth Dalai Lama. Our first stop was to be the Urgelling Gompa, where he was born. The Victors wanted to get up late. 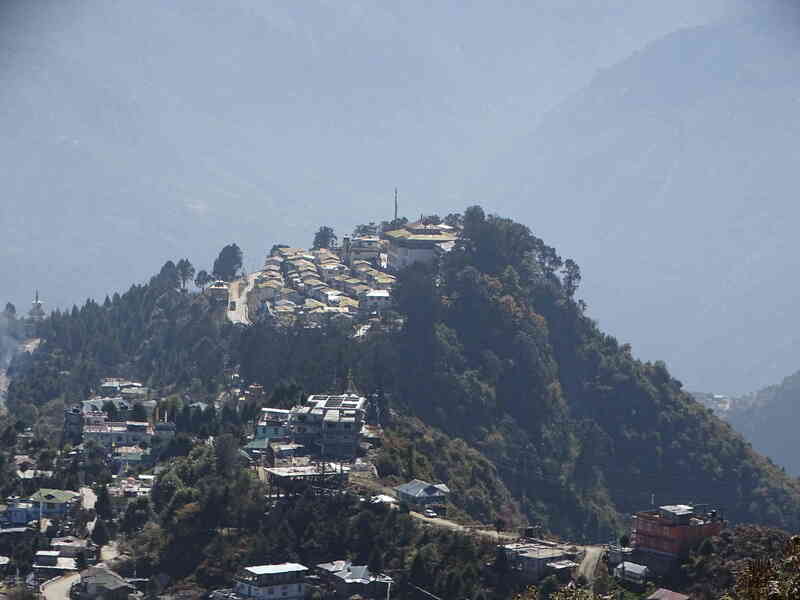 Avatar flatly refused to drive in Tawang unless we had someone who knew the roads. We’d studied the layout of Tawang on the way in, and could navigate by GPS, but Avatar was deathly afraid of getting lost. So we asked the hotel if they could spare someone for half the day. The head cook, who called himself Lobsang, had nothing to do, since he’d already farmed out his work to the young boys in the kitchen. So he was elected as the guide to The Family and me. 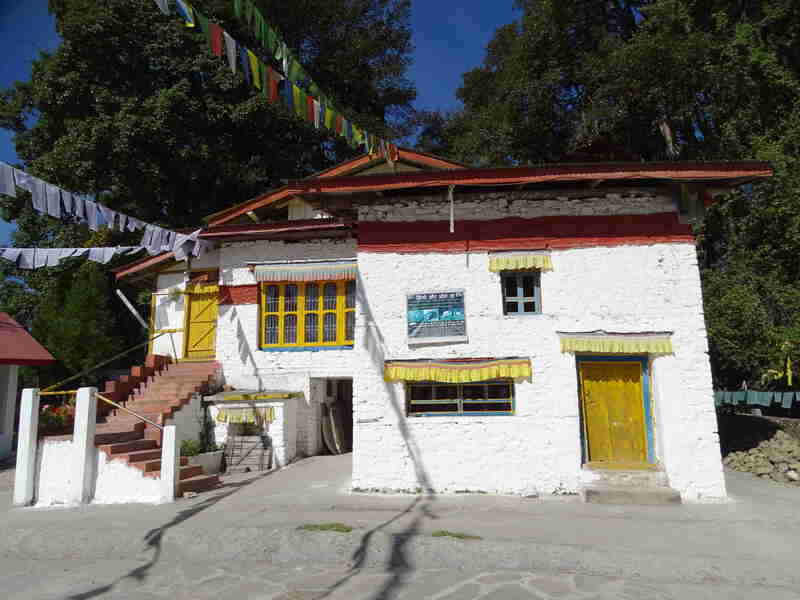 The Urgelling gompa is a small structure, standing serenely in the middle of some woods. We walked in through the half-closed gate, and skirted the building counter-clockwise, running our hands over the prayer wheels as we went. Ever since I read Terry Pratchett’s "Thief of Time" I’ve always set prayer wheels in motion. We came out on the courtyard in front of the entrance to the gompa. The morning sun made everything look cheerful. 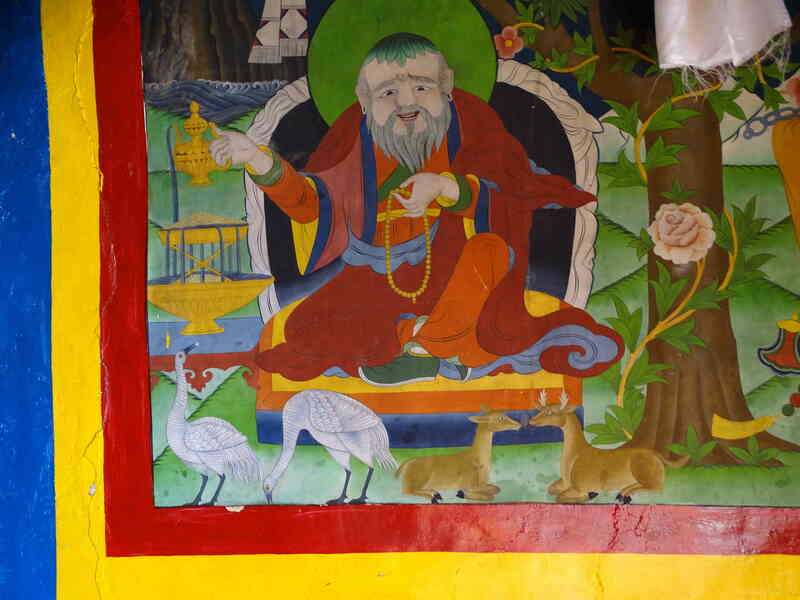 The gompa was closed, but Lobsang found the caretaker, who opened the door for us. The inside was stunning. Colourful paintings lit up the small room. Suspended above them were thangkas with portraits of the successive Dalai Lamas. I asked Lobsang to point out the sixth. There was a bit of consultation between him and the caretaker, a bit of counting, and they pointed to the portrait alongside. Interestingly, in his own birthplace, the sixth Dalai Lama is revered, but not really remembered. She was found, to be thrown away. Being ignorant of Tibetan history, I researched his tragic-romantic story later. The fifth Dalai Lama had died in the middle of messy politics involving Tibet, China, and Mongolia. The search for the next reincarnation was carried out in secret by the Dalai Lama’s regent. When Tsangyang Gyatso was found, he was already fourteen years old. He was administered the vows of a novice monk by the Panchen Lama. The rebellious teenager was said to be constantly at loggerheads with his instructors. He renounced his vows, dressed as a lay person, was seen to drink and often left the palace to visit prostitutes. He wrote love poems which are still known today. His lack of interest in governing destabilized the political balance in the region. A Mongol warlord invaded Tibet, and conspired to send the Dalai Lama to China. He disappeared at the age of 24, in the year 1706, on his way to China as a prisoner. The murals on the walls were clearly religious stories. 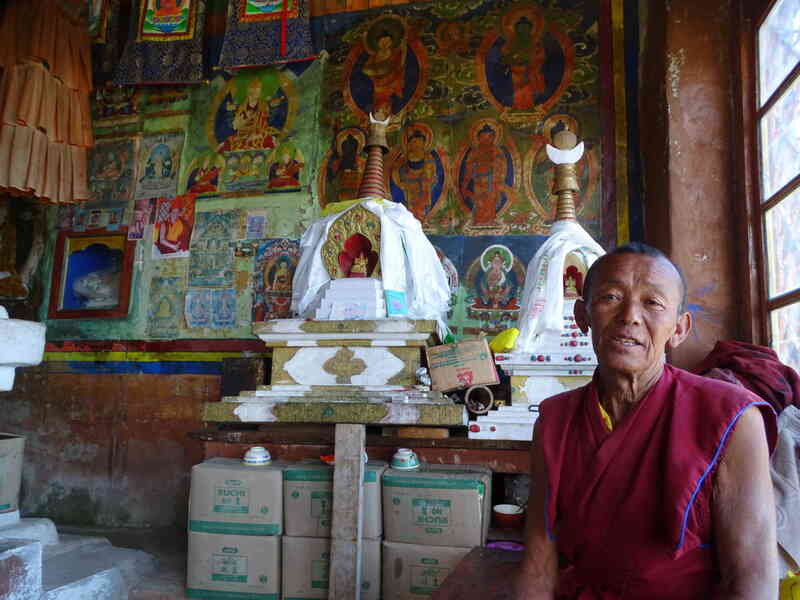 I took photos as Lobsang translated the caretaker’s words from Mon to Hindi. Unfortunately the stories mostly left out important details, perhaps the locals know the stories so well that they assume that we too can fill in the gaps. My notes mention Lappan Rinpoche, Thring Cheng and Tsokta. 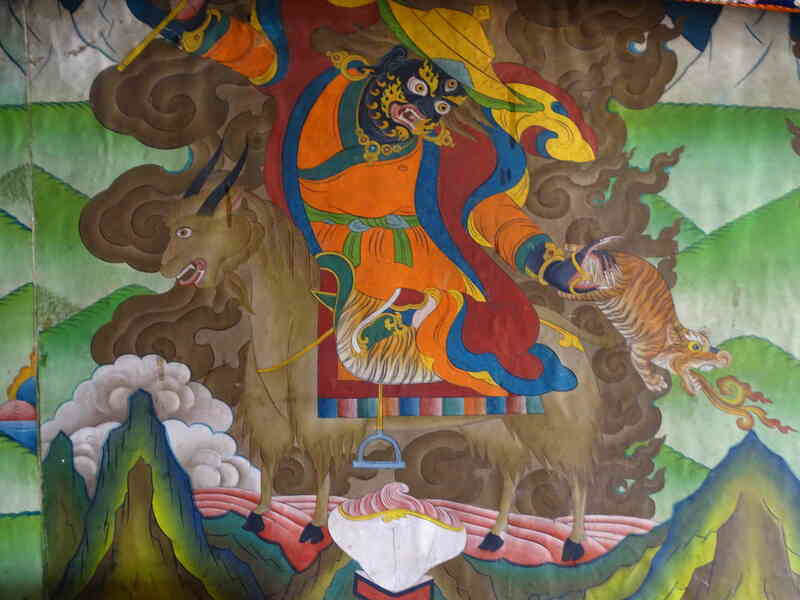 The person in the picture above to the left, is clearly a powerful being; he has on the yellow hat of the Gelugpa sect and holds a tiger in his left hand. The picture on the right could depict the entity whose statue is shown in this post. I could not make out whether those powerful entities were entirely benign. But what about these? The one on the left above is clearly a very powerful person. But he is not totally benign, judging by the three heads which he holds in his spear. The man in the red robe is clearly a monk. He too has the green halo of a superior being. Could this be a Dalai Lama? We did not get a full story, but the caretaker offered us interesting biscuits: salted crackers with cheese between pairs. They looked like they were ordinary sweet cream biscuits, but they were salty. The Family found them later in the market; they are made in Kolkata. Still bemused, we followed our two guides down the external stairs to the lower level. This was the basement behind the prayer wheels. It was filled with chhortens. 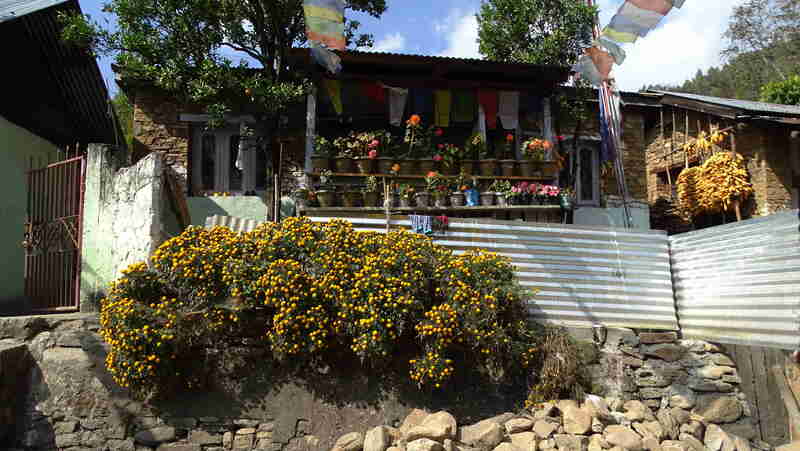 Lobsang and the caretaker lit some lamps here and changed the water for the flowers. We followed them out. We were led to two trees to the right of the entrance gate (visible as the middle tree behind the gompa in the photo on top). When Tsangyang Gyatso left Urgelling, he planted three trees and said that he would return when they died. 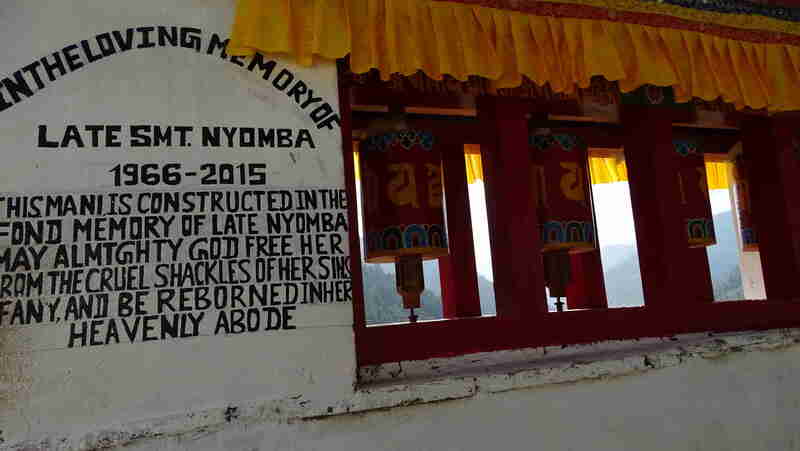 One of them withered a little before the 14th Dalai Lama walked into Tawang in 1958. The other two seemed very healthy. The place where the soul of the Dalai Lama is said to reside. Our guides are on the left, the caretaker closer to the camera. This would have been the end of our tour if Lobsang had not accompanied us. But the caretaker now decided to show us a little local secret. We clambered down the slope outside the gate. About a hundred meters down was a little pool of water with a stone in the middle of it. 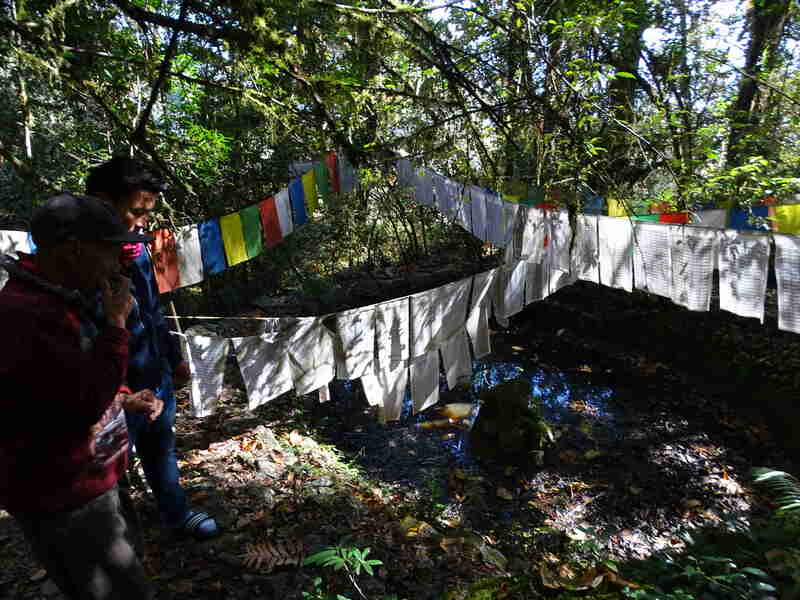 The area around it was covered over with colourful prayer flags. This is where the soul of the Dalai Lama resides, we were told. The unlucky boy, Tsangyang Gyatso, had good taste. The forest was calm and peaceful, and I hope it remains so, a little neglected, but alive in people’s memories; like a favourite old uncle you wish you could visit, but no longer have the time to. After a listless trip to Sangti valley we spent the rest of the day playing at being tourists in the bazaar of Dirang. According to the 2011 census there were 3750 people in the town. The number of army and para-military people probably swells the population a little beyond the 4000 mark. For such a small town, the center is bustling with activity, even on a Sunday. 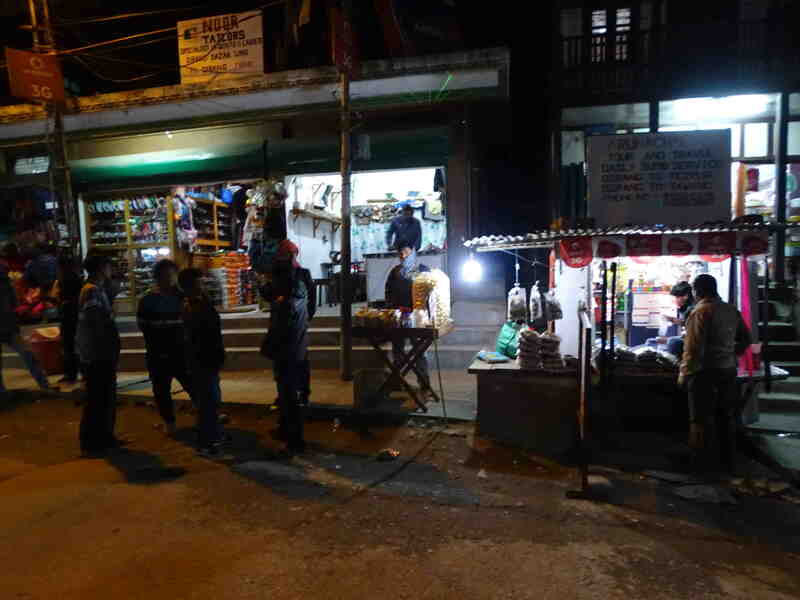 During the day there was a continuous stream of visitors to Santosh, the most popular eatery in the bazaar. Seeing the turnover we went there and found that the popular thing to eat seems to be a samosa chaat. It went well with the tea. Santosh agreed to start up his jalebis for us. After that we walked around looking at the shoe shops. The relation between Arunachalis and shoes probably merits a separate post. So does the relationship with knitting wool. The idea of going to Dirang dzong did not sit well. We walked all the way to the end of the town where the garages and body-work shops were, and then waked all the way back to the other end where our car was parked. Instead of walking up and down the drag again, we took the car and went off to see the Gompa. 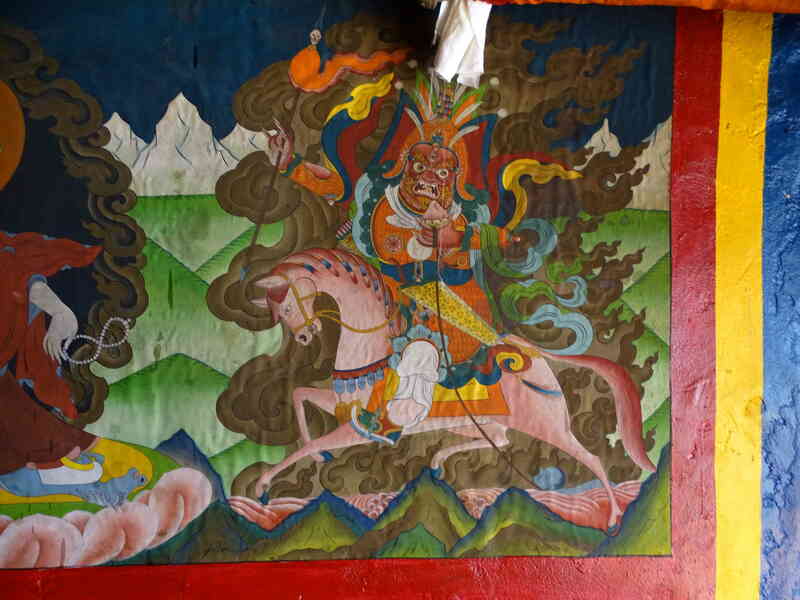 The old gompa, Kalachakra, was closed. I got shots of the kids playing there. Most of them were happy to pose for the photos. We went to the new gompa, still under construction. 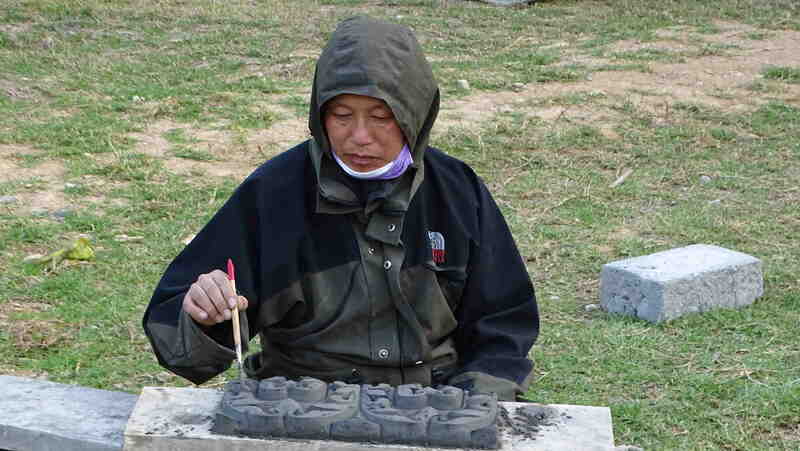 A monk sat out in the cold lawn making an elaborate cement sculpture. I guess the old technique of wood-carving is no longer used; wood is too costly and has to be renewed too often. We saw no state transport buses. 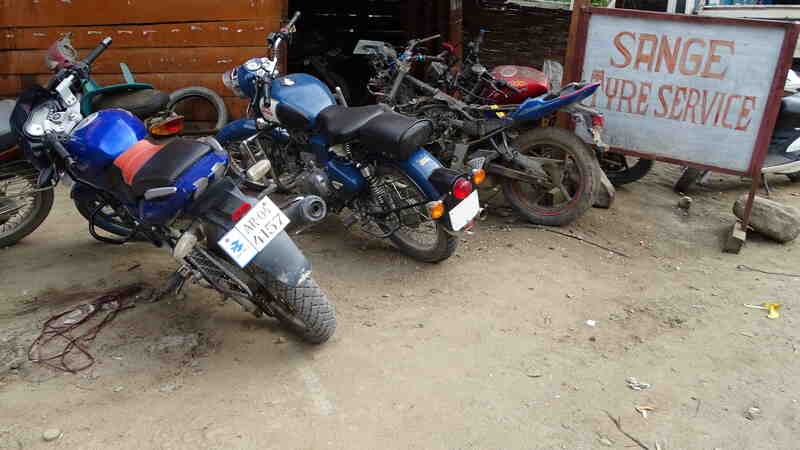 The road had several "travel agents" selling tickets for a Sumo ride to Bomdi La, Bhalukpong, Tezpur and Guwahati. The Sumos all leave at 5:30 in the morning. The Victor asked about the trip to Tezpur and found that it takes Rs. 450 and eight hours. We had seen some of these Sumos on the way: about ten to twelve people packed into a vehicle which we would normally think of as holding no more than six. The price of the ticket seemed high compared to the price of food. Between this ticket and the lack of state transport buses, it seems that Dirang is pretty isolated. We came back to the bazaar after sundown. The snack-sellers had gathered by the road. In spite of the cold there was a dense crowd around the guy with the pani puris. In contrast, the number of people buying at the "wine shops&quot; was miniscule. We called it an early day. Our day’s stop had been meant for bird watching. Instead we spent the day people watching. It was a look into the life of one of India’s smallest towns: a completely foreign experience for us. The next morning we would cross the Se La into the high valleys. Across the Dirang river and over the hill that we could see from our hotel room is the Sangti valley: famous as the wintering spot for the endangered black necked crane (khroom khroom karmu, ख्रूम ख्रूम कार्मु). Before starting on our journey I’d found that it arrives in early November. We should have been able to see it in a normal year. But this is a high El Nino year; the weather is warmer than normal. Vikram, who manned the reception in our hotel, more or less said that we were out of luck. 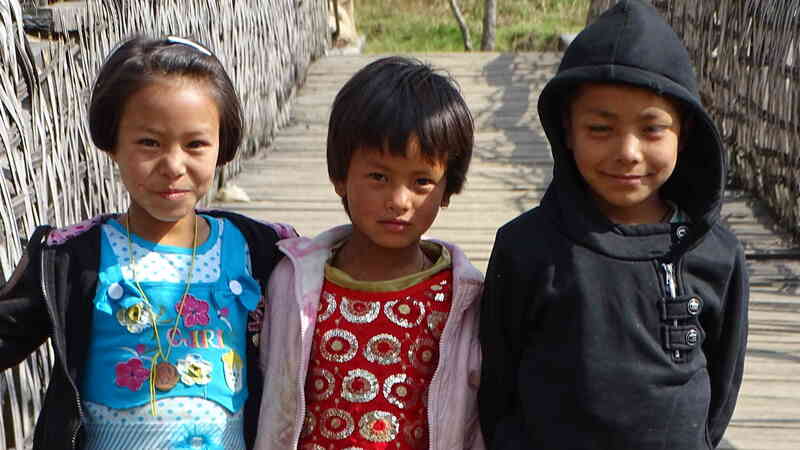 A decade ago we’d missed them by months in Phobjika valley in Bhutan. In any case, we started too late for birding. Avatar Singh had never gone to Sangti Valley before, and he was petrified of losing the way. Vikram explained the route to me, and then again to Avatar. It was easy: reach Dirang bazaar, turn left and down at the main cross road, turn hard right immediately, cross a bridge across the river, turn right and go on. Contrary to Avatar Singh’s fears, this was not a gritty adventure. We drove over a smooth black-topped road to Sangti valley in less than half an hour. The Family spotted a grandmother with a child and asked her about the cranes. As she told us they hadn’t arrived yet, I took a photo of the pair. See the stacks of firewood behind her? We found every house in Arunachal has huge stacks of firewood hoarded up for the winter. We drove through this village which straggled through the long valley. The road was a little way up on one side of the mountain, above a sudden drop to a very flat valley. Maybe the river floods in the monsoon; that could be one reason why the people here cultivate and eat rice. We drove past the village to a chhorten at the far end. The Victors took their usual record shots posing in front of the chhorten. We turned back towards the village. Buddhist prayer technology was everywhere in the valley. There were many of the small square stupas along the road, with tall prayer flag fixed on poles near them. We came across this collection of prayer wheels called a mani. When I read the inscription on it, I realized how deep the conviction in nirvana went here. This was a little glimpse into an aspect of belief that one doesn’t usually discuss with strangers. As we got to the village, I hopped off the car because I wanted to take photos. I agreed to meet the others across the river near the bridge we’d seen. 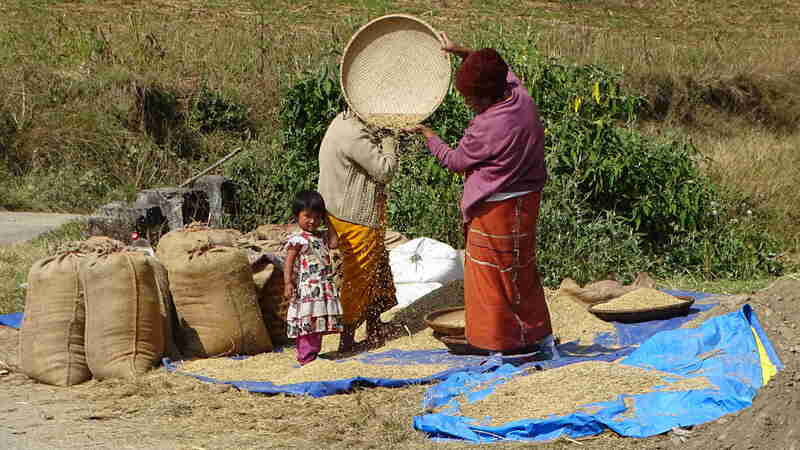 My first stop was to photograph this family group as they separated the chaff from rice. My attempts to talk to them were not successful. They lived too far from the road to understand either English or Hindi (if the idea had struck me then, I would have tried Assamese or Bengali). Further on I met a bunch of teenagers sitting and chatting at a store. They understood my request to photograph them perfectly; the girls refused and the boys posed as if for a fashion shoot. A typical village house looked something like the one above. Most of the living seemed to occur on the upper floor. The lower was reserved usually for firewood. The living space and as much front space as is available is covered with flowers. The flowers and the beautifully chosen colours on the walls made the whole village look very picturesque. The need for a two-storied house was not clear to me: the valley is low (maybe a little over 1000 meters high) and snow should not be an issue. The village was raised so far above the river that the danger of flooding was non-existent. Could it be that the style in housing was brought by the locals from a higher altitude as they wandered down? I passed through the village and found the road leading down to the river. Avatar was napping in the car parked by the road. I followed my fellow travelers on foot. The village was less picturesque along this lower road, although the houses were larger. Children were at play all the way to the river. As I came to the bridge a group of three young girls came tripping across it. They were willing to be photographed; they formed up in a row and smiled for the camera. The Victors and The Family were waiting for me at the edge of the water on the far side. I walked down there and dug into a backpack for an apple. The sunlight was warm, although the air held a chill. The Victors wanted to get back to the car. The Family and I followed them slowly without exploring the river. On the way back we saw a bunch of boys playing together. They agreed to be photographed. But the gender difference was stark. As you can see from the photo above, they were not going to sit still for a photo. They tried out various poses. I especially like the child in the middle, who’s got distracted by what he can achieve with his fingers. We got back into the car and drove out of the valley. We had hardly seen any birds; in fact we’d hardly stopped for any. On the road we found a couple walking: one with a large scope, the other with a camera. I stopped the car to talk to them. They were from Spain and were there to look for ibis bills and other water birds. Clearly we had missed out completely. The Family and I want to go back to Dirang and Sangti valley, perhaps late next November. 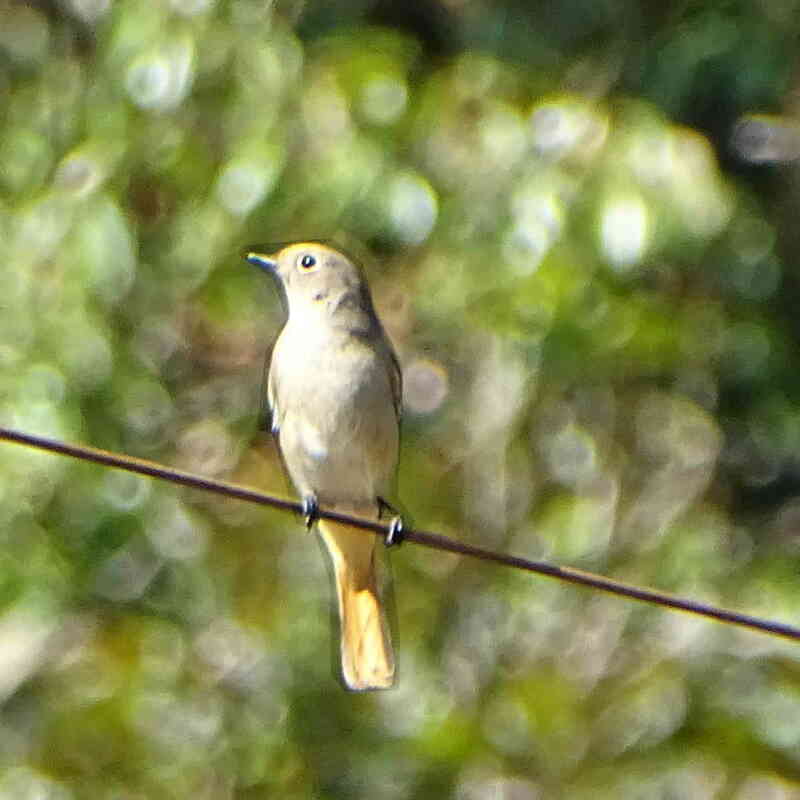 We are now officially in search mode for a pair of birders who might want to join us. As we drove up from the plains towards Tawang we realized that Edmund Hillary was not the only Kiwi in the Himalayas. There is also Kiwi, the fruit. As we crossed the first pass on the way, Nechi-Phu La at an altitude of 1708 meters, we began to notice bags of Kiwis being sold. The explanation of this wonderful collaboration between New Zealand genes and Himalayan climate came when we reached the beautiful valley of the Dirang river. The road to Tibet passes through the crowded Dirang bazaar. If you drive down towards the Dirang river from the cross roads at the center of the bazaar, and take the first turn right immediately after, you’ll come to a stilt bridge across the river. Cross this, bear left, drive on until you think you are lost. Then drive a little longer, and you suddenly see an orchard full of Kiwis sloping down the hillside. A harvest was on when we arrived. Crates of Kiwis were being loaded on to a truck. The workers were happy to talk to us. We were told that the crated fruits were harvested before they were ripe, so that they could ripen as they travelled. If we wanted good Kiwis, we were welcome to walk through the orchard. One of the ladies at the harvest told us that ripe fruit would have fallen off the branches, and we would do well to look for freshly fallen fruits. We walked through the orchard, looking for ripe fruits on the branches, or on the ground. The Family found lots of small Kiwis on the ground, but they were not ripe. We saw a couple of large ripe ones, but they had been lying there for a while and insects had discovered it before us. As we returned, the workers told us that we could walk up to a house above the orchard, and could perhaps get some ripe Kiwis. The four of us walked up to the house: clearly someone’s private bungalow. The Family and Mrs. Victor walked in, found a distinguished looking Monpa gentleman and asked him whether they could get some ripe Kiwis. The Victor and I stopped eyeing the fleet of SUVs which went with the house and followed the ladies. The gentleman farmer was very gracious, and told us that he could not sell us any ripe Kiwis, but invited us to sit down. He was proud of the fact that he had introduced Kiwi farming to the region. As we chatted about Dirang, Arunachal Pradesh, the roads, and Kiwis, a plate of peeled and sliced Kiwis appeared on the table. I’m not very fond of Kiwis; each and every Kiwi I’ve eaten has been sour. So I did not reach for the plate. The Family tasted a slice and told me I should try it out. I did, and for the first time in my life I tasted ripe Kiwi. It was sweet and had the flavour I associated with Kiwi, but something about the consistency of the sweet green flesh reminded me of bananas. This was a Kiwi I could get to like. The conversation continued to the difficulty of getting crops across the mountains over the bad roads, the increased vagaries of the weather in recent years, and the interesting monasteries we would see on the way. Eventually we thanked the gentleman, and got up to leave. He wished us a good journey, and saw us off to our car. His two strong men had followed our conversation silently, but did not come down the steps with him. We bought a bag of the fruits in the bazaar. They were the usual sour mess. I guess I need to visit New Zealand or go back to the same gentleman’s house to get a taste of real Kiwi.